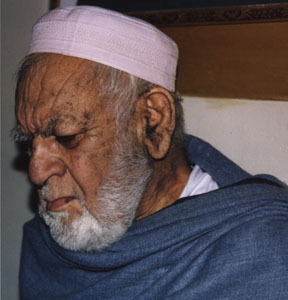 On November 25, 1998, Professor Siddiqullah Reshteen passed away in the city of Peshawar. He was laid to rest in peace on November 26, 1998 in Nengrahar, Afghanistan. Professor Reshteen's death is a great loss for the Afghan people. His death is especially felt strong in the scholars' community of Afghanistan, Pakhtunkhwa and Afghans around the world. He devoted his life to the advancement and progress of Pashtu poetry, literature, history and intellectual research. He was concern about the young generation whom he wanted to participate and contribute to the linguistic, literature and political construct of Afghanistan. Professor Reshteen was a man of honor, respect and high regards. He was a strong admirer and promoter of Pashtoonwali(The code of Honor). Professor Reshteen wrote 71 books from which 60 are published and 11 are unpublished. We the editor and the editorial board of SABAWOON journal express our deepest condolences to the Afghan people and especially to his family. We pray to ALLAH Subhanaho Ta'ala to be kind and merciful upon him and ask for him for forgiveness. May ALLAH bless and forgive him. Interested in any special article? Please contact webmaster for permission!